What does Jewellery mean to you? We all have pieces we have inherited, cherish or bring back childhood memories and to me it means family, heritage and love. I was really excited to hear about the new jewellery collaboration between Clemmie Hooper (@mother_of_daughters) and Rachel Jackson London. They have created a series of modern day heirlooms, designed to celebrate the amazing women and girls in your life with some personalised collectible charm jewellery. 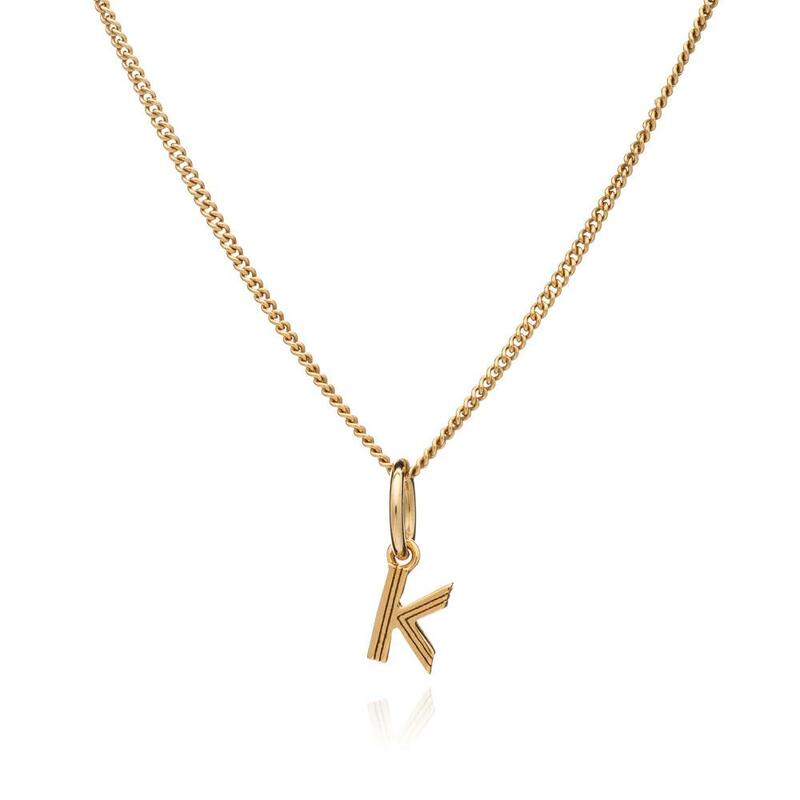 All the pieces are made with sterling silver and 22 carat gold plating and are available to order now, prices start at £15 for a mini initial charm. All the pieces would make a lovely gift - be it a new mum, anniversary, birthday or Christmas…or of course a treat for yourself! Personally I love the little and large initial necklaces and the attention to detail on the chains - they have more of a vintage feel than some other charm and layering necklaces out there, so feel much more special and premium. I’m very excited to share an interview with Clemmie Hooper about the new collection and what jewellery means to her. Congratulations Clemmie, the collection is gorgeous! My long chain necklace with an amulet on it which belonged to my father. I used to play with it as I sat on his lap when I was a child and thought it was so fancy a man wearing a necklace. When he died my mother gave it to me and it’s a lovely reminder of him. What’s your most used/ worn piece of jewellery (excluding your wedding ring)? Probably all my Maria Tash earrings. I have a small (and expensive) addiction to their earrings and have a diamond huggie, a star and a black diamond bolt of lighting. I’m planning on getting a few more piercings from there. What memories do you have of your mothers’ or grandmother’s jewellery? My mum had a jewellery box on her dressing table filled with the most amazing gems. A mixture of gold, sparkly but big and flamboyant earrings (it was the 80’s). The best were a pair of wooden parrot earrings on a perch, I used to think when I grow up I’ll wear a pair of parrot earrings like that. What was the inspiration behind your jewellery collaboration with Rachel Jackson? It was based on my favourite and most treasured items of jewellery. During the design process I brought these items to the meetings and we loved the idea of building pieces of jewellery by adding charms. My grandmothers charm bracelet was the centre of this, adding charms whether that’s you buying them yourself or buying them for someone else. Why did you pick to collaborate with Rachel Jackson? She came to me! After a few years of wearing her jewellery it was a dream come true to be asked to collab. Rachel is a mum and her story of how she went from working at Spitalfields market every weekend to building her business was really inspiring. She’s Northern and I love her straight talking passion. When we first met she was a week away from having her second baby, it was heavy snow and she rocked up in a dress and Chloe studded boots with a bag full of jewellery. I loved her immediately! What is your go to everyday jewellery? Gold hoops. Whether that’s small huggie, or big and chunky, I just love the way a gold hoop adds a certain something to any outfit. What type of woman did you have in mind when designing the collection? Which piece should be on top of our Christmas lists? The double birth stone necklace. I love the idea that you can use any special date or month to celebrate, whether it’s your birthday, your child’s birthday or the month you got married, there’s lots of ways to wear those sentimental dates. Which piece are you most proud of in the collection? The statement initial necklace. The chain is inspired by my late fathers necklace and I love the vintage feel to it. It’s so lovely to wear, I love feeling the letter and play with it so much! Do your daughters own any jewellery yet? Yes they both have some pieces from the collection and my oldest daughter has her ears pierced and now has a few pairs from Claires! 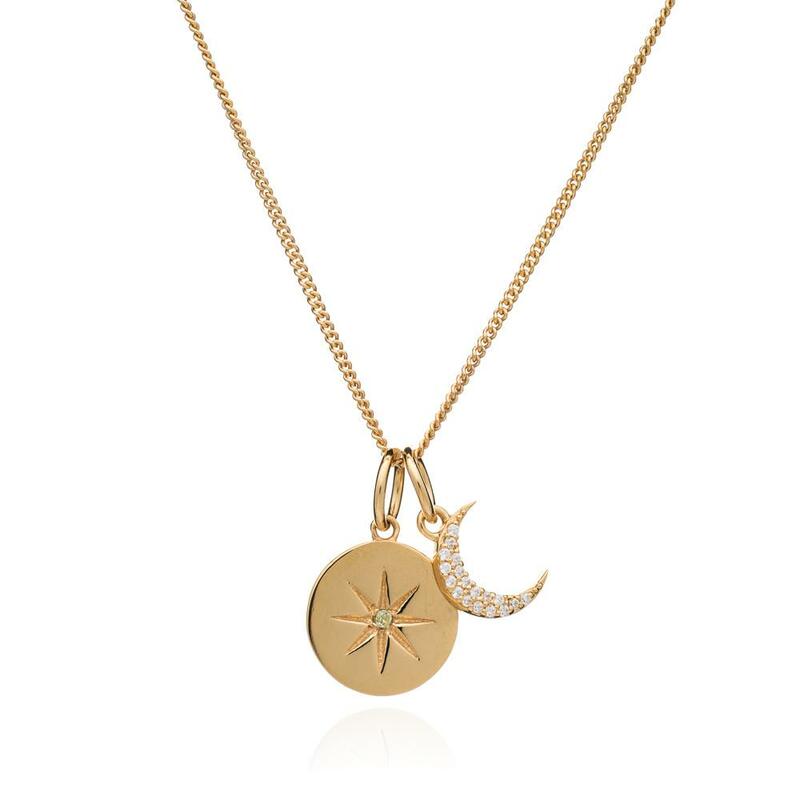 What jewellery would you like to hand down to your daughters? My grandmother’s charm bracelet, my father’s chain and my initial necklaces Simon bought me when I had the girls.